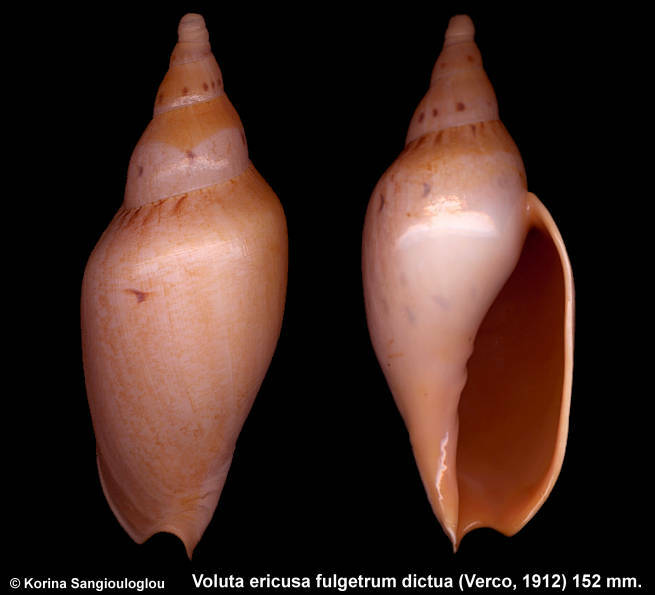 Voluta ericusa fulgetrum dictua (Verco, 1912) 152 mm. Extra large and very nice, yellowish/cream color with soft pattern. Has a very small growth defect and the end of canal is slightly chipped.